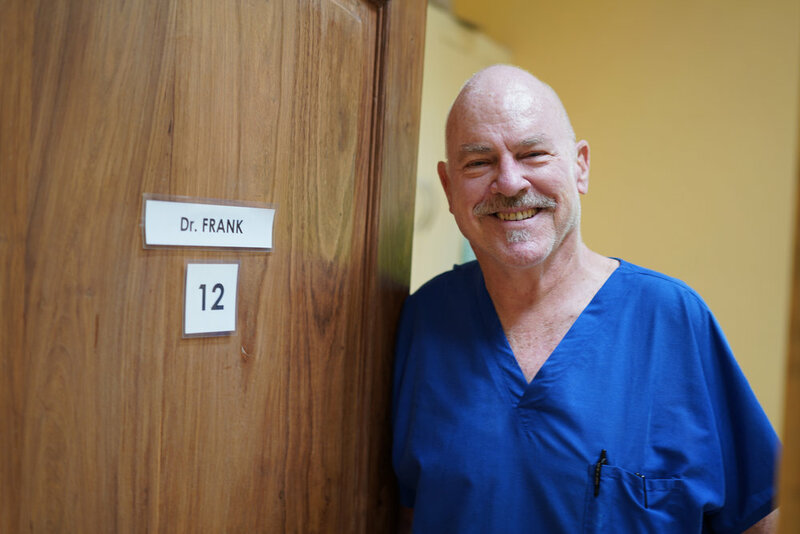 Frank is Co-founder and Co-director of the Foundation for African Medicine & Education (FAME). He did his undergraduate and post-graduate medical training at Loma Linda University in the US. Prior to coming to Tanzania, he spent 20 years doing cardiac anesthesia, the last 18 years at a hospital in Central California where they did an average of 600 open heart surgeries per year. As a member of a cardiac team with the Medical Relief Foundation, he helped to set up heart surgery programs in Guatemala, Nicaragua and Vladivostok, Russia. Born in Ethiopia, where his father worked as a doctor for seven years, he comes by his love of Africa and medicine naturally. He currently serves as the Medical Director at FAME and practices general medicine along-side an all Tanzanian medical team. Susan is is Co-founder and Co-director of the Foundation for African Medicine & Education (FAME). She has a background and training in Counseling and Educational Psychology. She completed her undergraduate work at UC Berkeley and her graduate work at California State University, Stanislaus, and University of the Pacific. She spent over 16 years working in the California public school system as an elementary school counselor. In addition to working with children experiencing learning difficulties, she developed and coordinated a number of school-wide prevention and intervention programs designed to support children and families. In 2004, she and her husband, Dr. Frank Artress, moved to Tanzania full-time, where they built FAME Medical. She focuses her energies on project implementation, grant writing, donor relations and fundraising for the hospital. Jeanne was born in Addis Ababa, Ethiopia, but moved to the U.S. at the age of three. One of six siblings, she is the sister of FAME Co-Founder, Dr. Frank Artress. She studied Accounting at San Fernando Valley State College and Shasta College, eventually forming her own business through which she provides bookkeeping and tax preparation services for multiple companies in and around Redding, CA. Jeanne is a founding FAME board member and was instrumental in helping to establish FAME as a registered 501(c)(3) organization. When Jeanne is not working, she is volunteering her time and expertise for FAME, insuring transparency in FAME’s financials, communicating with donors and providing administrative support in the US and Tanzania. Jeanne has traveled to Karatu fourteen times, spending 4-6 weeks with the FAME Medical team every year. An extraordinary ambassador for our work, Jeanne has personally sponsored two FAME staffers through nursing school. Since serving on the board, she has organized and hosted eleven fundraising events for FAME, building an amazing circle of supporters in her church and community. Graham hails from Dublin, Ireland, where he started his career as a medic for St. Johns Ambulance Brigade. In 1984, he came to the US, where he studied Paramedicine at Ingalls Hospital in Chicago and received a bachelor’s degree in Healthcare Administration. Graham is a director at PHI Air Medical, a premier full-service air ambulance provider, caring for more than 30,000 critical care patients each year out of 110 operational aircraft across the world. He is also President and Co-founder of the Medical Relief Foundation, a non-profit medical organization dedicated to enhancing the level of emergency and paramedic healthcare in developing countries. Jack has guided over 37 years of value-enhanced services for Williams + Paddon clients, and is a recognized leader in the region for innovative design with an emphasis on sustainability and resiliency. Notably, Jack has deep experience with many planning and design projects for numerous projects in Placer County and the Sacramento Valley Region. Jack has led the design for several project types including Schools, Civic Centers, Libraries, Performing Arts Centers, Museums, and Park Facilities. Jack has served on the DSA Green Committee and CHPS (Collaboration for High Performance Schools) Standards & Implementation Committee, contributing his deep passion and expertise for passive envelope design, Zero Net Energy, Zero Net Water, and natural daylighting strategies focused on qualitative learning environments. Jack brings vision, thoughtfulness, experience, and leadership to an expert team of architects and engineers. Craig is FAME’s Board Chair. He is a 30-year veteran of the international finance markets and former Managing Director of Russell Investments. At Russell Craig held a variety of roles, including CEO, Russell Canada, and Senior VP and Director, Russell Australia. Since leaving Russell Craig has been an advisor and board member of a variety of companies. Currently Craig is CEO of instaCOVER, LLC an insurance technology company and on the board of Brandes Mutual Funds and the Paradigm Project, L3C. Katharine Crawford brings with her many years’ experience in planned and major gift fundraising and non-profit and volunteer management. She has worked at the foundations of the University of California, Berkeley, the University of California, San Francisco and Haverford College. In addition to serving on the FAME Board of Directors, Katharine consults to non-profit organizations regarding fundraising and marketing. Katharine holds a bachelor’s degree in Public Administration from the University of California, Berkeley and a master’s degree in Business Administration from Golden Gate University in San Francisco. Frank has over thirty years of experience in the biotechnology industry, in research, management and as an entrepreneur. He was founder and CEO of several companies: Dragonfly Sciences, Adnexus Therapeutics, and Epitome Biosystems and held previous positions as a research director at DNAX Research Institute/Schering Plough and Chief Scientific Officer of Millennium Pharmaceuticals. His current interests are in education, healthcare and entrepreneurship. He has served on the Stanford University Board of Trustees and the Humanities and Sciences Council, and currently sits on the Board of Directors of the Lucile Packard Children’s Hospital and the Biosciences Advisory Committee. With his wife, Carol Hall, he co-founded Tanzania Education Corporation, a non-profit organization which supports primary and secondary education in Tanzania. He is on the Board of Directors of IonPath, an early stage life science company, and an advisor to Incite Health, an innovation and entrepreneurship program in primary care at Harvard Medical School. Frank earned his PhD at Stanford University and carried out post-doctoral research at MIT and the Stanford University School of Medicine. Peter joined the Rift Valley Children’s Village in 2004 as its Assistant Director when it was just a rented home on a hill and has been working there ever since. Peter has a degree from the Community Development Training Institute and an MBA from Mzumbe University, and his skills and insights have been instrumental in the development and success of RVCV’s various community outreach programs. He lives and works at RVCV full time along with his wife, Grace, and their three daughters. Nickson Mariki was born and raised at the foot of Kilimanjaro. He has lived in Karatu for ten years and operates a number of local restaurants here. He is also director and co-founder of Black Rhino Academy - International School, a non-profit school recently built in Karatu. Ms. Mwasiti is a practicing Advocate and owner of AMAL ADVOCATES, a law firm based in Arusha. She has vast knowledge and special skills on matters pertaining to NGOs, corporate transaction, conveyancing, employment and labour law. She also has attended various seminars to continue advancing her knowledge and expertise. Ms. Mwasiti is one of the lawyers who were fortunate to be mentored and trained by the late Advocate Nyaga Paul Mawalla, founder of Mawalla Advocates before establishment of her law firm.